Whatever their conclusions, Russians are scratching their heads over the twists and turns of the Russia probe. Moscow: Russians are watching with morbid fascination as the American political establishment struggles to get to the bottom of how and to what extent Russia - their country - meddled in the 2016 U.S. presidential election. 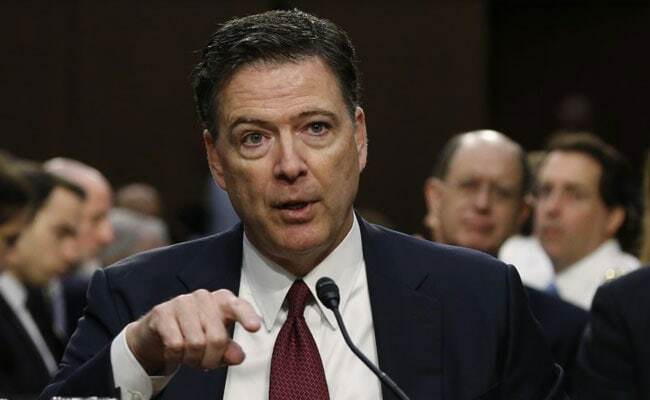 As the appearance of former FBI director James B. Comey before the Senate Intelligence Committee approached Thursday, 143 million or so Russians still can't abide by the notion that the United States is pointing the finger of blame at their country. Some are proud that their country's hackers are apparently as creative and world-class as Russia's aerospace industry. Others add the hacking allegations to the long list of transgressions everyone attributes to Russia. Many more are worried that all the chaos in Washington will come back to haunt them. The confluence of those emotions, given the Russian penchant for dark humor, has been great fodder for memes. This was the response I got Wednesday when I went on a Russian radio station to explain The Washington Post's latest scoop: that the top U.S. intelligence official had told his associates that President Donald Trump had asked him whether he could ask Comey to back off the probe into the Russia contacts of Trump's former national security adviser.One co-host gave me a funny look and mouthed, "Who told whom that who had asked whom if they could get what to do what?" The other host tweeted that I must be a spy. Russian commentators said the Comey hearing had deflated the effort by Trump's opponents to use the Russia probe, and how the former FBI director was fired, as a way to remove the president. "The commotion around the testimony of Comey was inflated," tweeted Alexei Pushkov, a senior member of Russia's upper house of parliament. "Trump's enemies are thirsting for blood. It reminds one of the search for enemies under McCarthy." Sergey Armeyskov, who blogs about Western perceptions about Russia, calls the U.S. fixation with Moscow Russomania: "obsession with a conspiracy theory that the Russians did it, based on a belief with no solid proof." It's not as though Armeyskov, or anyone else in Russia, believes everything President Vladimir Putin says. (Don't you believe his spokesman when he says, as he did Thursday, that the Kremlin isn't watching.) But when the Kremlin leader told NBC's Megyn Kelly last week that Americans have "lost their minds" over this "nonsense" and that someone should "give them a pill" to "make it stop" already, that struck a chord. "Whether or not they agree with Putin or came to the conclusion independently, Russians think that the Americans have gone insane over Russian meddling," said Andrei Kolesnikov, a senior associate at the Carnegie Moscow Center. Predictably, the daily bombardment of U.S. allegations has stirred Russia's own suspicions about the United States. People were genuinely optimistic about the future of the U.S.-Russia relationship, even as late as March, when a Russian pollster found that 58 percent of those surveyed thought ties would improve. That's down to 34 percent in the latest poll. But the Russiagate effect goes beyond popular perceptions. Moscow has a long list of its own gripes about what it considers concerted efforts by the United States to interfere, surround, beat down, hold back and generally mistreat Russia (to say nothing of manipulating Russian elections). Now, the Russian upper house of parliament is proposing new restrictions on nongovernmental organizations that receive foreign funding. There was a time when newly democratic Russia welcomed U.S.-funded efforts to foster democracy and market reforms. Now these efforts are seen as attempts to "destroy the foundations of our state institutions," as Russia's prosecutor general, Yury Chaika, told lawmakers at a hearing Wednesday. Russian suspicions of U.S. intentions go beyond domestic interference, though. "The scenario being pursued by the West envisions depriving Russia of independence in international affairs and gaining unlimited access to our natural resources," Sergei Naryshkin, the head of Russia's foreign intelligence agency, told the upper house. "The U.S. and its allies see the Russian leadership's independent and nationally oriented course as the main obstacle to this." So rest assured that while Comey is being grilled by senators about what he knew about Russian interference and when he knew it, Russians will be pondering what to do about what lawmaker Andrei Klimov calls the "thousands of tireless operatives" paid for by U.S. funds and working to undo the Russian state. So where does it end? Russians are scratching their heads about that one, too. I asked Armeyskov, as someone who has studied in the West. He suggested that we all listen to "Fussing and Fighting", by Bob Marley & the Wailers.